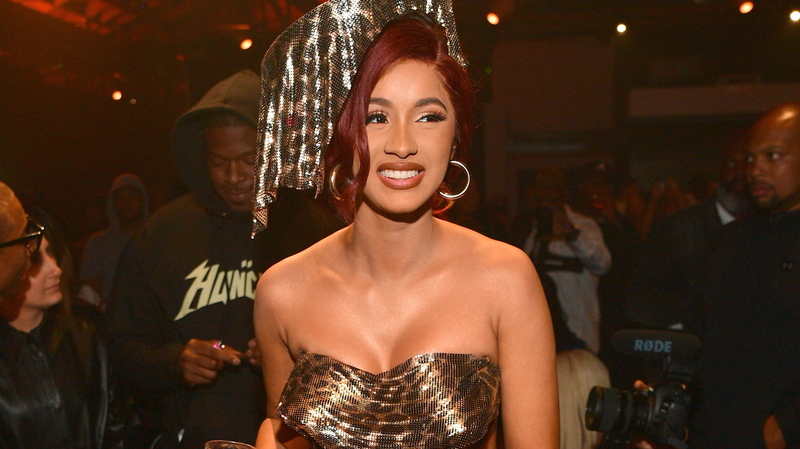 Cardi B Stays Consistent, Counts Her 'Money' The Bronx-born rapper releases her first solo single following Invasion of Privacy, her major-label debut album. Cardi B has just released her first solo single after her debut album, April's Invasion of Privacy. Bags in the coupe, bustin' out the roof. Rap fairy tale and Bronx bomber Cardi B has just shared "Money," her first single since the release of her debut album, April's Invasion of Privacy. "Money" puts its subject matter front and center. Cardi holds the almighty dollar higher than all other pursuits in life for her and her baby, Kulture, whom she welcomed with her husband and fellow rapper Offset this past summer. "Sweet like a honey bun, spit like a Tommy gun / Rollie a one of one, come get your mommy some," she spits in the second verse. "Cardi at the tip-top, b**** / Kiss the ring and kick rocks, sis." It's fair to say Cardi B gets back to the money, but in reality, she never left. After welcoming her firstborn in July, Cardi's name appeared atop the Billboard Hot 100 twice this summer, and she's remained in the public eye. Cardi's song "I Like It," featuring J Balvin and Bad Bunny, went No. 1 on the Hot 100 on July 7, and Maroon 5's "Girls Like You" (which features Cardi) reached No. 1 on Sept. 24. Cardi's impeccably orchestrated rise, which first caught mainstream attention in 2017 with the breakout single "Bodak Yellow" — and was launched into overdrive with her debut album in April — has remained a topic of discussion in hip-hop circles throughout 2018. And while "Bodak Yellow" earned the performer two 2018 Grammy nominations, per the rule of the Recording Academy, those nods disqualify her from competing in the category of Best New Artist at 2019's awards. Even if "Money" doesn't fly up the charts like her previous singles, it reminds listeners that Cardi is staying consistent enough to warrant accolades in other Grammy categories.